Listen to “Jazz and the Breeze (featuring Kwaisi France)” on Spreaker. 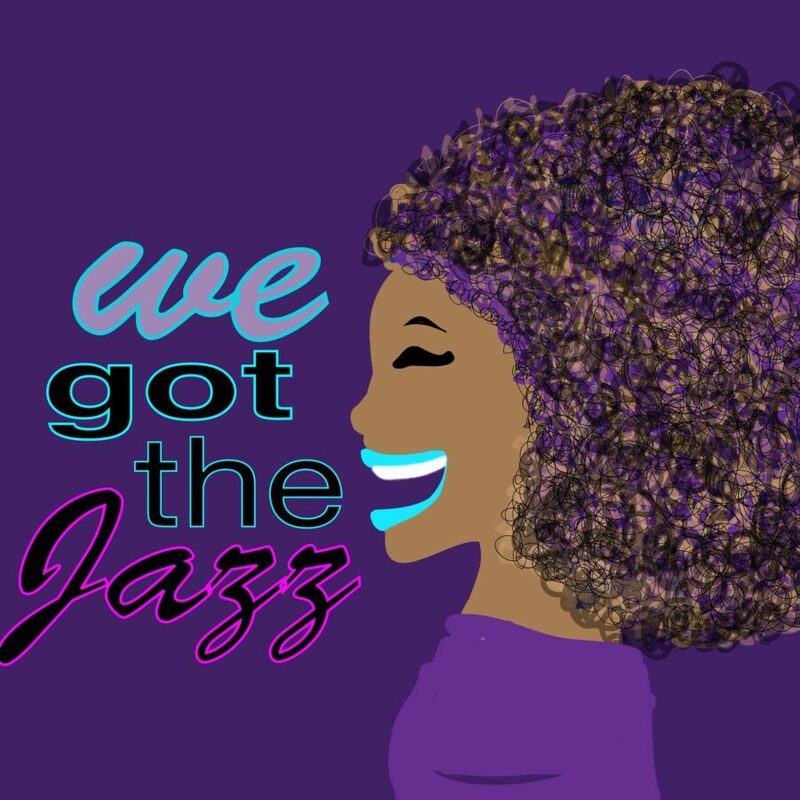 We Got the Jazz (WGTJ) is a comedy podcast hosted by Ryan Ervin, and siblings Autumn and Shaun Woodland. Join the trio every week as they bring their diverse personalities and perspectives together to create an enlightening and humorous verbal jam session about society, culture, current events, and much more. WGTJ is available on iTunes, SoundCloud, Spreaker, Google Play, Stitcher, and most other podcast listening platforms. Shaun Woodland 2015 Reel from Shaun Woodland on Vimeo. Shaun was born and raised in Baltimore Maryland. Early on in life he gained the ability to traverse different worlds. Growing up in one of West Baltimore’s roughest neighborhoods, yet attending Gilman School, one of Maryland’s most prestigious preparatory academies for 12 years. This rare set of circumstances gave him a unique perspective on life and the world. Shaun grew up and avid comedy fan, often sneaking off the with his mothers comedy tapes, listening to the likes of Eddie Murphy and Robin Williams for hours. He always had a subconscious desire to act, but a career in the arts didn’t seem tangible, so he focused more on sports and academics. Shaun excelled in football, basketball and track & field at Gilman, going on to run track in college. It wasn’t until attending New York University that his interest in the Arts came to the surface. Shaun became friends with several acting students who encouraged him to pursue his dream. He began participating in student films and started the formidable task of honing his craft. After graduating, Shaun returned to Baltimore, where he landed a recurring role on HBO’s critically acclaimed series The Wire. Shaun became a traveling member of Wombwork Production’s Nu World Art Ensemble, and has since been training and working up and down the East Coast. He has booked roles in numerous national commercials, film and television; landing roles on The Firm (NBC), American Experience (PBS), America’s Most Wanted, and most recently Golden Boy (CBS). Shaun is currently playing the lead role of Sampson in Synesthetic Films’ Debt To Society. Sampson is an ex-convict trying to make good on his shot at redemption. Shaun is able to draw from his life experiences to bring depth to the role. He currently coaches high school football while continuing to embrace the challenge of mastering his craft and bringing his childhood dream to life. A native of Sewickley, Pennsylvania, a suburb of Pittsburgh, and a proud graduate of Florida A&M University, Autumn Woodland obtained her Juris Doctorate degree from the Maurice A. Deane School of Law, at Hofstra University, located in Hempstead, New York. While in law school, Autumn knew her career path would be unique in comparison with her classmates. Currently, she works as a Compliance Analyst in Baltimore, Maryland. In addition to pursuing her goals as a compliance professional, Autumn is a burgeoning artist. In 2009, she began working as a voice over talent, and has voiced projects for entities such as UPMC (University of Pittsburgh Medical Center), Pandora Internet Radio, Maya Angelou Public Charter Schools, and multiple small businesses. Autumn has developed a deep appreciation for independent media. As such, she launched the We Got the Jazz podcast in Summer 2016. Hosted by Autumn and Ryan Ervin, We Got the Jazz is is an enlightening and entertaining verbal jam session about society, culture, and whatever else comes up in conversation. The podcast is in conjunction with her blog, INFJazz. INFJazz focuses on Autumn’s insight and experiences as an empathic, highly sensitive introvert. The Breeze: Who Is Jadon Woodard? The info mentioned in the article are some of the top readily available. Just beneath, are a whole lot of totally not relevant web sites to ours, nevertheless, they may possibly be absolutely truly value heading over. It’s heading to be stop of mine day, even so ahead of complete I am looking through this wonderful put up to improve my expertise. Excellent way of outlining, and fastidious report to get data concerning my presentation topic subject, which i am likely to convey in school. Hello there! Do you know if they make any plugins to aid with Seo? I’m attempting to get my weblog to rank for some specific key phrases but I’m not seeing extremely very good gains. If you know of any you should share. A lot of many thanks! What is up it is me, I am also checking out this site on a standard foundation, this website is really enjoyable and the viewers are actually sharing great ideas. Rather! This has been a actually wonderful report. Many thanks for offering this information. One was developed only for displaying seconds and modest whilst a distinct 1 making use of minute graduations is made for implying hrs. Just beneath, are a whole lot of totally not relevant web web sites to ours, nonetheless, they could be absolutely genuinely well worth likely more than. Good way of explaining, and fastidious write-up to get info concerning my presentation subject matter matter, which i am likely to convey in university. A single was designed only for showing seconds and tiny although a various a single using minute graduations is manufactured for implying hrs. Check out below, are some entirely unrelated internet-internet sites to ours, nonetheless, they’re most reliable sources that we use. Do you have a spam problem on this blog I also am a blogger, and I was wanting to know your scenario we have developed some great techniques and we are looking to swap strategies with other folks, be certain to shoot me an e-mail if fascinated. Fairly! This has been a truly great article. Many thanks for providing this info. Hey there! I lately saw your site and I surely get pleasure from it. I enjoy to communicate about omega xl sometimes. Good to be around, thanks a great deal!